Without training, professional development is near impossible. At its core, training provides the resources for growth as a modern day worker. Investing in the continued development of your team is an investment in the future of your organisation as a whole. Study after study highlights the benefits of employee development initiatives. Yet, according to a recent Harvard Business Review study, a lack of proper training initiatives across businesses plays a key role in the current employee retention problem. In a survey of over 1,200 young professionals, with an average age of 30, respondents cited a lack of employee-development efforts as a major reason for leaving a position. Employees want to work for businesses that invest in their development. The researchers found a major disconnect between what employees wanted in terms of training initiatives and what their employers offered. While on-the-job development was highly available, there was a reported lack of formal development – including industry-based training. Across industries and continents, there exists a considerable problem with employee engagement. Gallup's State of the Global Workplace report found that only 13 per cent of employees across the world are engaged in their current position. Learning and professional development opportunities are the key to driving engagement. When staff members are better engaged, the organisation as a whole reaps the benefits. According to Gallup, organisations leading the charge in employee engagement also performed 22 per cent better in terms of profitability and 21 per cent higher in productivity compared to businesses with low engagement levels. So, where does training fall in the engagement equation? In an interview with CIO, Jason Weingarten, CEO of Yello, explained that learning and professional development opportunities are the key to driving engagement, especially with the largest demographic in the workforce today: millennials. "Millennials are concerned with investing their energy and their time in organisations that will reciprocate," noted Weingarten. "They want to make sure they're growing inside their organisations and that they have a path to continue to do so. The fact that our survey found that salary isn't as key for them wasn't honestly much of a surprise to us; they're more concerned with working well with teams of their friends, making a positive impact on the world and having a promising path to growth is really important." Training initiatives go beyond engagement, they can even help improve the overall satisfaction of your team. In a survey of 1,000 working professionals by Bridge, a cloud learning management solutions platform, continuous learning and training opportunities ranked number one on the list of most important factors contributing to overall job satisfaction. Development opportunities for your employees show them that you are committed to their growth thus increasing levels of overall satisfaction. When training is supported, job satisfaction improves. "In our survey, the majority of employees say continuous learning was important or very important to their job satisfaction.They cared about their growth and wanted these training opportunities," says Jeff Weber, senior vice president of people and places at Bridge, in an interview with CIO. "And 53 percent of respondents say they're very likely or likely to leave their job because there are insufficient learning and professional growth opportunities. This is a major message to companies that if you're not sufficiently providing ways for workers to learn and grow." At the end of the day, training your team is all about improving your core business functions. Not only does it help with engagement and satisfaction, it ultimately delivers a better experience to your customers. When you have a highly skilled workforce, you have a highly functional company – it's as simple as that. Supporting employee development begins with investing in training for your team. 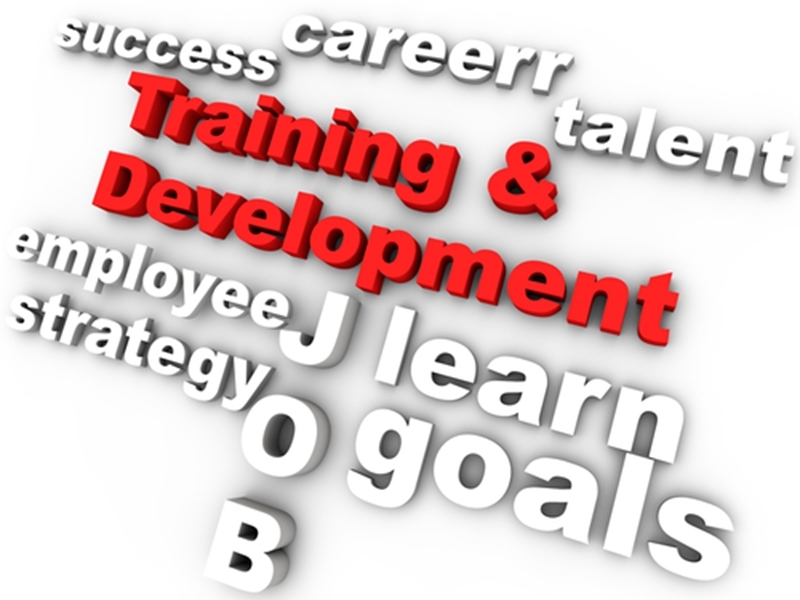 Supporting employee development begins with investing in training for your team. In such a fast-paced business world, leaders that fail to dedicate resources to the skill advancement of their employees risk falling behind. Here at AlertForce we are committed to the professional development of workplace health and safety teams across Australia. We provide our students with comprehensive training with personal mentorship and flexibility. Whether you opt for our face-to-face courses or our online training, you will be provided with personal support from one our experienced AlertForce mentors to help you every step of the way. Leaders looking to invest in their team are in good hands with AlertForce. With a 97 per cent student completion rate and high levels of student support, we have got your employees covered. To learn more about what AlertForce can offer you, contact one of our reps today!